Tic Tac Trance #129 Replay available! 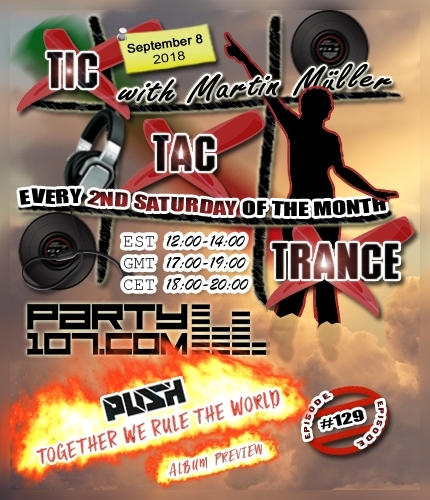 Tic Tac Trance returns on September 8 2018 with episode #129 on Party107.com. You can expect for this show a very uplifting 2 hours underground trance mix which also includes previews from Push’s upcoming album “Together We Rule The World”. Make sure to tune in!